An article published in the journal “The Astrophysical Journal” describes a new research on the possible climate existing on the seven rocky planets of the star TRAPPIST-1’s system. A team of astronomers coordinated by the University of Washington (UW) used updated climate models to try to understand what kind of atmospheres they can have as a result of environmental evolution based on the observations collected. The result is that the planet TRAPPIST-1 e is the one most likely to have liquid water on its surface. The confirmation of seven rocky planets orbiting the ultra-cool dwarf star TRAPPIST-1 in February 2017 attracted enthusiasm because it offered considerable possibilities for studying exoplanets with a mass comparable to the Earth’s that have very different orbits. Never before seven super-Earths were discovered in one system and they’re 39 light-years from Earth, in the neighborhood in astronomical terms. The collection of data on TRAPPIST-1’s planets is facilitated by the fact that the star is very small and its planets are very close to it so they pass in front of it every few days, between 1.5 and almost 19. At the same time they receive an amount of energy that according to initial optimistic estimates determined the possibility that on all of them there was an atmosphere and liquid water on at least part of their surface. The study of exoplanets began just over 20 years ago and that of super-Earths orbiting dwarf stars only a few years ago. The consequence is that each new exoplanet of this type that gets discovered offers new information and, together with the studies carried out in the meantime, brings changes to the models created to try to understand the climate existing on them and whether there are favorable conditions for the birth of life forms similar to the Earth’s ones. Unfortunately, the updates to these models led to a worsening of the results for the TRAPPIST-1 system. A big problem is the intense activity of the star TRAPPIST-1 which, despite its mass close to the lowest limit for a star, when it was young probably had a phase of particular activity, even with violent flares. This means that it may have made the water on its planets evaporate, its ultraviolet emissions may have broken the molecules of water and the hydrogen may have got lost in space, since it’s the lightest element so it can escape the atmosphere of a not very massive planet. The possibility that the star TRAPPIST-1 eroded the atmosphere of its nearest planets was already taken into consideration. The results according to the updated models suggest that in the worst case all the planets might be similar to Venus, with very dense and very hot atmospheres. TRAPPIST-1 b, the innermost planet, may even be hotter than Venus. 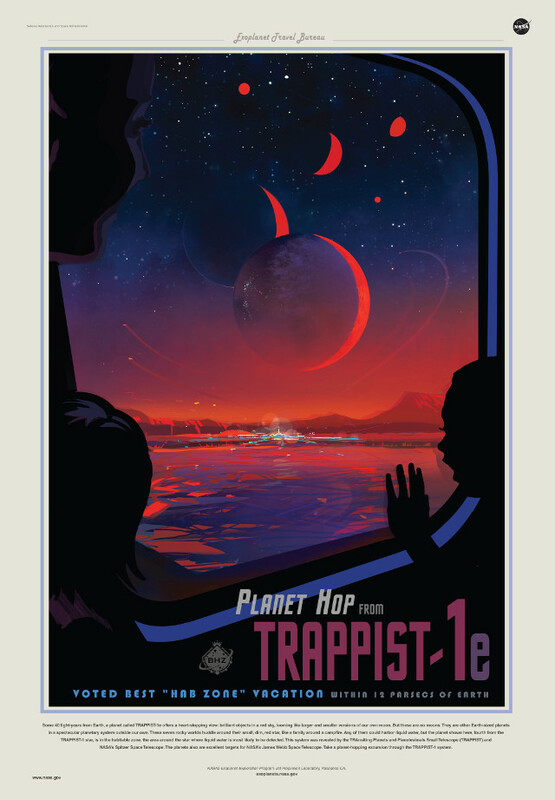 The planet TRAPPIST-1 e was already considered the one that was most likely to be habitable and this research confirmed those results. The major doubts concern the three outer planets because at their distance their fate depends a lot on the amount of water present. According to the authors of a research described in an article published in the journal “Nature Astronomy” in March 2018, those planets could be composed mainly of water so they might be frozen planets. 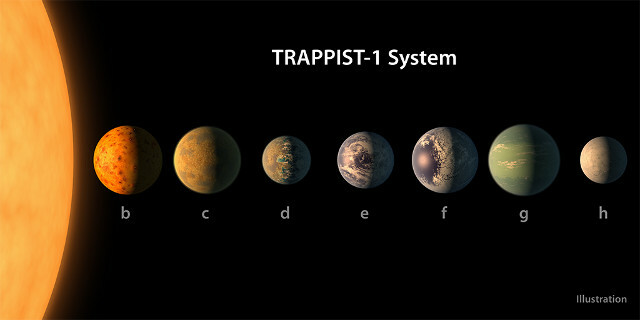 Andrew Lincowski, UW doctoral student and first author of the research, stated that this study focused mainly on the possible climate evolution on TRAPPIST-1’s planets. His team will continue his assessments thinking also about the possibilities that at least on some of those planets there are life forms. It’s important to keep on examining this extraordinary system also to understand what to look for when the James Webb space telescope is finally launched and can observe it.